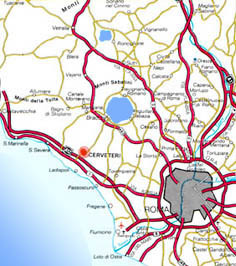 Cerveteri is only 40km from Rome and 35 from Civitavecchia and is located between the hills and the sea. The city centre is 81mt above sea level. 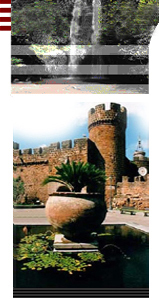 It can be reached by Via Aurelia and from the highway Roma-Civitavecchia(A12). There are bus and rail services from Rome, Civitavecchia and Ladispoli.